Yesterday, December 1, 2017 was International AIDS Day. 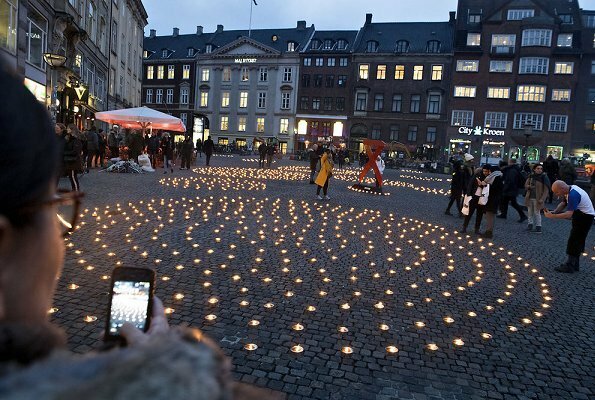 As the patron of AIDS Fund, Princess Marie of Denmark, together with her children Prince Henrik and Princess Athena attended candle lighting event at Copenhagen Gammeltorv (Old Market) Square, which is a tradition that enlightens World AIDS Day and which is held for the purpose of memorializing every person who died because of AIDS. 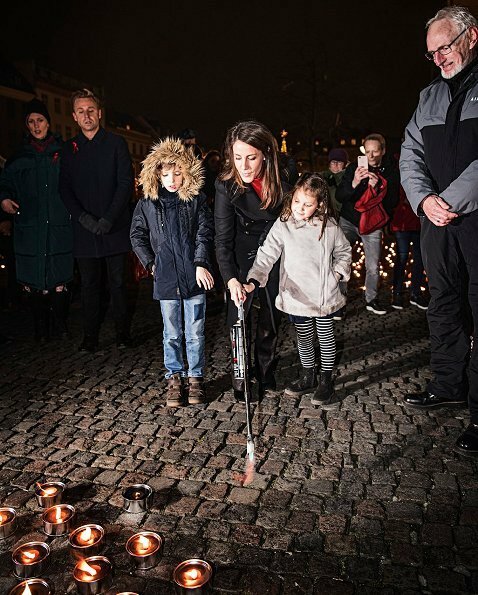 Princess Marie of Denmark made a special interview to Danish magazine Out & About on the occasion of World AIDS Day. 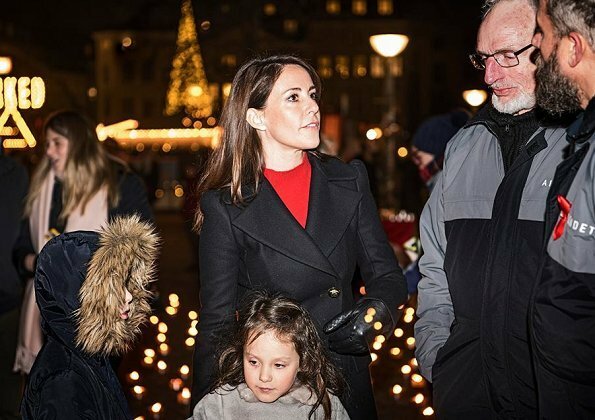 There are new photos of Princess Marie on this week's issue of the Out & About Magazine. Marie looks good, but she needs a hair cut …… 10 cm off would suits her much better! Honestly, I don't know how much Joachim and Marie get in apanage, but they do not spent much on clothes for the children! Mostly they look like they are dressed in something from a 'second hand shop'! I disagree. The children look just fine and are appropriately dressed for kids their age. I'm sure their parents want them to have a normal life, and to fit in with their peers rather than wear whatever some designer thinks is appropriate for "rich kids". I like Marie and her rather low-key but rather elegant look. I don't think she's in an easy position.